I was shopping for furniture and instead, I found this small piece of art at Task in my neighborhood. 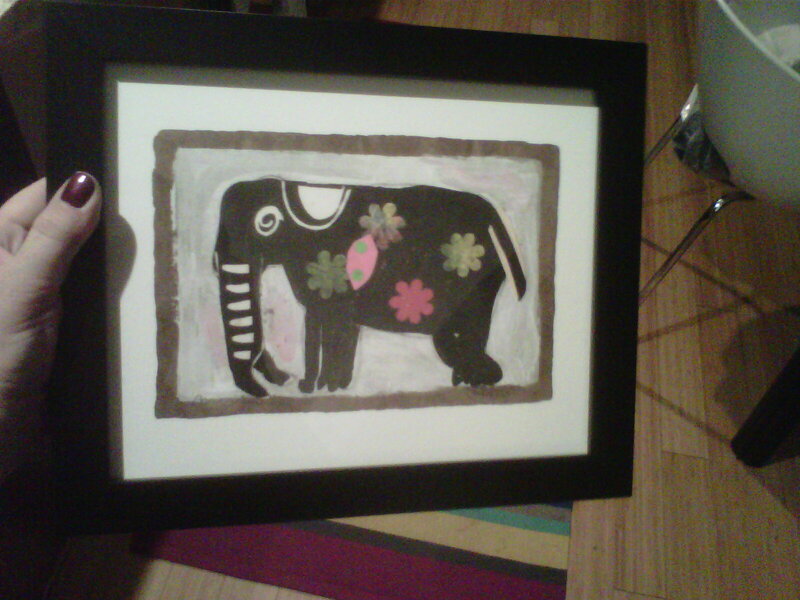 Elephants always remind me of my beloved Aunt Mar. She loved them, so I do too. This entry was posted in Decor, Life stories and tagged Aunt Mar, brooklyn, decor, elephant, home, shopping, Task, williamsburg on March 20, 2012 by onechicklette.